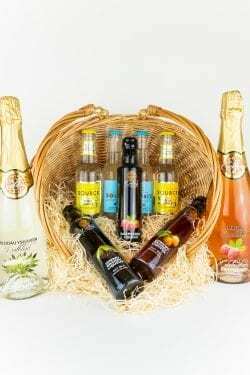 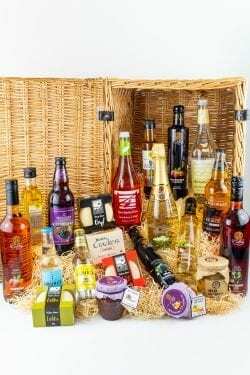 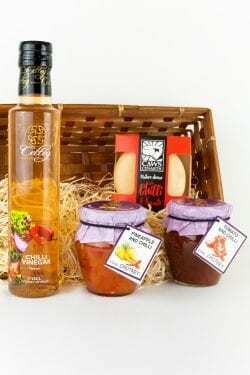 This attractive hamper includes 1x 25cl bottle of Celteg Welsh Elderport, 1x jar of Red Onion Chutney, and 2x Caws Cenarth cheeses (chilli and leek). 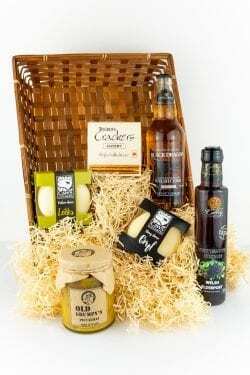 An excellent gift for a lover of port and cheese. 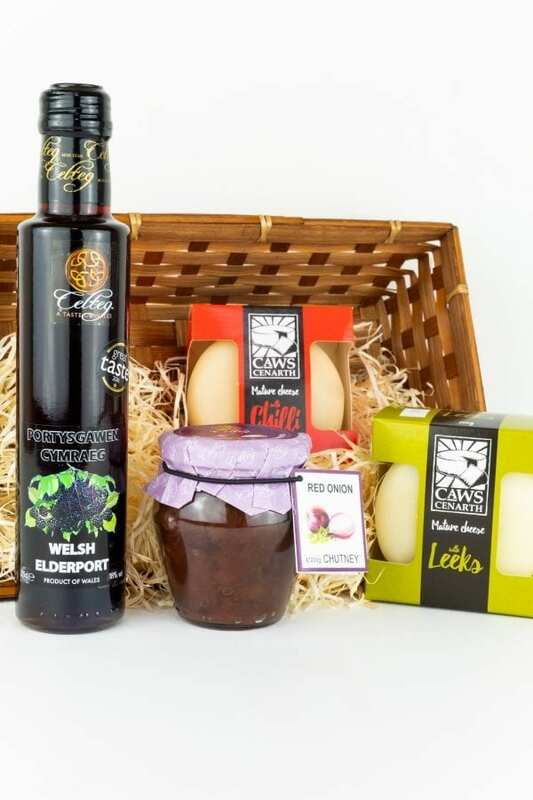 All products handcrafted in Wales.